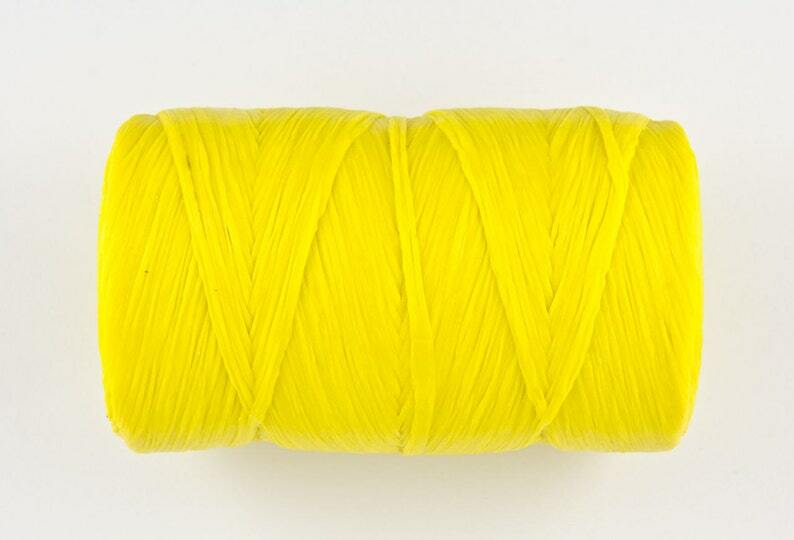 You are purchasing 1 roll of Yellow Artificial Sinew. Great for any craft project , Pow Wow, reenactment events, Civil War, Rendezvous, Renaissance, Medieval, Living History and Cowboy. Great for sewing leather,making dream catchers, stringing beads, making bow strings,wrapping arrows,and many other uses. Very strong and can be split for lighter weight uses. Great product. Slow delivery due to the Postal service not the seller.